Agave attenuata Century Plant. Description. Evergreen succulent with an outstanding rosette of large soft, fleshy, grey-green pointed foliage. The flowers are creamy white bells carried on a 2-3 metre high spike. Perfect for large rock, pebble or simulated desert gardens, as a feature or as potted specimens. Will grow in both full sun and shade, tolerant of all soil types and thrives in both... 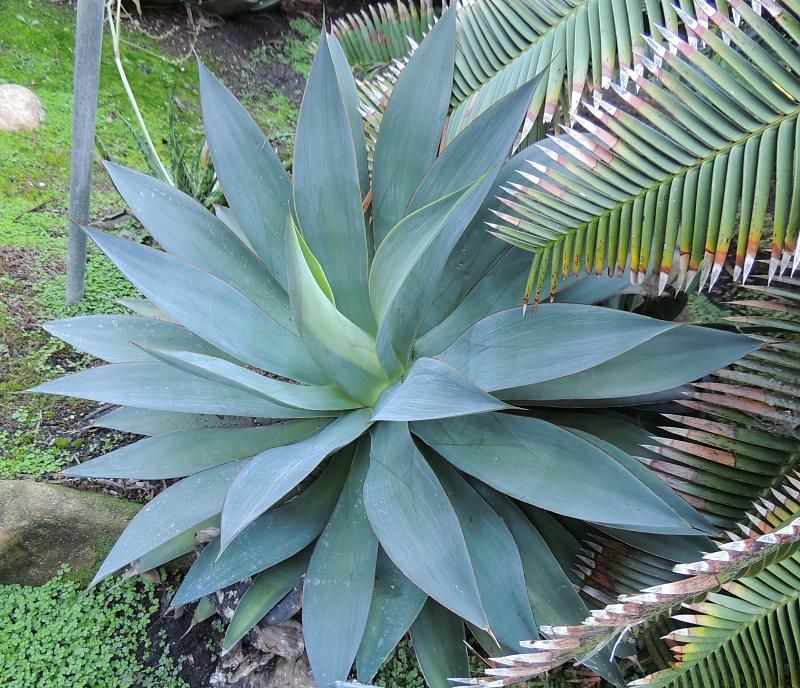 Learn about the Agave plant of Agave attenuata genus. Search over 7,000 plants in our plant guide. See what to plant when thanks to our seasonal gardening guide and plant finder so your flowers and vegetables look amazing whatever the climate. 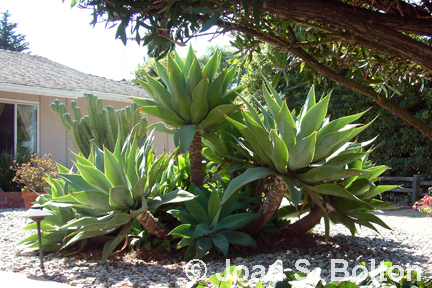 Agave attenuata is a perennial succulent with a central stem will also sprout other rosettes in time. It takes up to 10 years to grow a tall flower spike, up to 3mt tall, with clusters of very pretty creamy white bell shaped flowers in spring and summer.... The Blue Agave is a drought hardy succulent well suited to water-wise gardens. Blue shaded leaves are long and fleshy tapering to a pointed spike at the end. The plant is native to Mexico and in ideal conditions can grow to a height of 2 meters. Commercially the Blue Agave is cultivated to make the alcoholic beverage Tequila. An exquisite variegated selection of Fox Tail Agave, Agave attenuata 'Ray of Light' is an evergreen succulent perennial which produces elegant rosettes of wide, flexible, pale green leaves, adorned with a fine white streak running the length of each leaf margin.... Agave plants potted - sizes ranging from 20cm up to 80cm. Healthy lush leaves. Prices starting at $8. Larger plants 80cm from $45 Available to view after 6:30pm or by arrangement for another time. Agave Attenuata, the Stylish Succulent. Agaves make a bold statement in any garden! This native Mexican plant forms rosettes of succulent-like, soft fleshy, lime green to bluish leaves, fantastic for adding interesting form and texture to garden beds. Blue Glow Agave Plant (agave attenuata x ocahui) Beautiful Agave Blue Glow is a cross between Agave Attenuata and Agave Ocahui which grows up to 2 feet tall by up to 2 feet wide. Its wide sword shaped blue-green leaves have red margins edged with yellow. Agave attenuata is a perennial succulent has a thick stem crowned with a rosette of thick, soft, fleshy, pale green, pointed, leaves. The central stem will also sprout other rosettes in time. It takes up to 10 years to grow a tall flower spike, up to 3m tall, with clusters of very pretty creamy white bell shaped flowers in spring and summer.